This little fella did not want his photo taken. I really quite scuffed my knees chasing him around. I got a photo eventually. 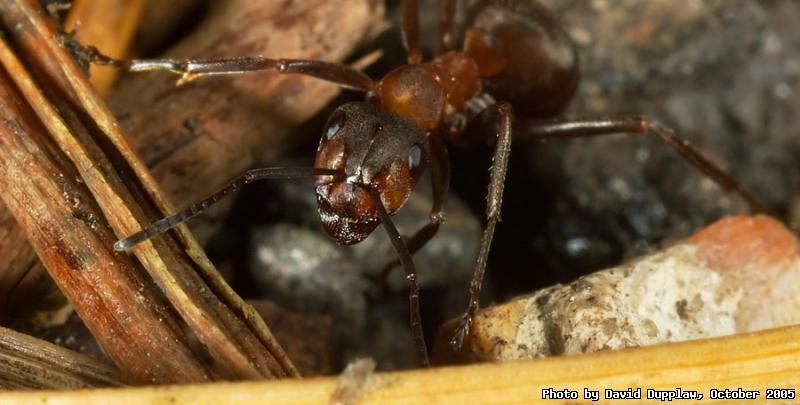 He is a Wood Ant (probably Formica cunicularia) which are the biggest ant species in England. They are very aggressive and will spray formic acid at you. They make huge nests of pine-needles and may have a colony of over 100,000.